← Stubborn, determined, or stupid? Death comes when death wants to. What you leave behind matters and for children of any age, a goodbye letter lets your love live on. 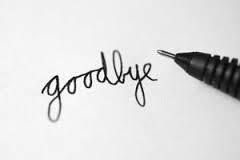 Writing a goodbye letter passes on your love and your legacy. Yes, I am talking about a goodbye letter to be read by your children after your death. Note this: I am absolutely not referring to a suicide letter. If you’ve found this blog post because that is what you are considering, call 911 for help immediately. Not willing to do that, Google suicide help line. Life can be better, I know if seriously depressed, you probably do not believe that at the moment, but in this world things change, always. The goodbye letter I am referring to is, believe it or not, meant as a positive and life-affirming experience. That said, parents have a hard enough time writing wills and here I am suggesting writing a goodbye letter! I think parents need to write such letters as soon as they become parents. Why? Because you never know. You never know. A final reason: such letters document a bit of each child’s life and serve as a memory book for each child’s life. Children of all ages will profit from such a book of memory’s written by a loving parent. Tip five: Here is a sample written by a mother on the occasion of her first child’s first birthday. Tip seven: Think of adding a picture or memento. Writing such letters focuses you on what matters, your mission as a parent, your hopes and dreams for each of your children. When you are clear about your mission as a parent, and what you hope for each child, you become a mission driven parent which means you go for the good, not the gold – you know what matters. Granted at my age, I thought about the final departure. And if you read me regularly, you know I have written about this before. But it bears repeating. This entry was posted in Parenting Issues and tagged children, Emotional fitness, Emotional Fitness Training, Emotional Health, emotional intelligence, Goodbye letters, Katherine Gordy Levine, parenting, Parenting advice, parenting tips, postaday11, teens. Bookmark the permalink. Mother was stricken suddenly with voracious cancer at 88 a year and a half ago. I was her home hospice nurse during those last five weeks. About half an hour after she died, a tear formed and fell from her left eye. I suppose that was her letter from the other side. How touching. I’m sorry you lost your mom. I lost my mom to pancreatic cancer – 349 days from diagnosis to death. She didn’t leave any letters for us, but she left behind many traditions that we follow. Her love is always with us. I wish my mom had written a letter before she left. But by the time we knew she was really dying it was too late. The cancer had taken over. More than anything, I wish she had written letters to her grandkids. She loved them so much. My son was 9, and has so many memories of time spent with his grandmother. But her loss was so great that he won’t talk about her. My daughter was 2, and the only memories she has are my memories. I made a promise to my mom to keep her memory alive for my kids, which I do my best to keep. Writing a letter – a very good idea. Thank you. The death of a loved one is always hard, but as with so many of life’s tough times can leach lessons. I am working on leaving a memory book and letters, but life does get in the way. I do have a good bye letter. You could also celebrate her birthday and tell stories about her. Even little stories help children connect to family history and that one done positively is always strengthening.